When talking about metals roofs , there are several options available in the market. Metal roofing is one of the tested choices. A wide variety of choices are available to the home owners in Houston and they can easily decide on for the best ones, according to their requirements while restricting to their finances. Keeping in view, the unfavorable effects of natural disaster like wind storms, rain storm and other weather slaughter on the constructions in Houston, the people must resort to metal roofing while building their homes or commercial constructions. The fact that the home where we live must be protected enough, we have a number of thoughts while going in for their building. The foremost thing which comes in our mind is the use of substance or material which is strong enough to give us sturdiness and robustness with a good long span of age because constructing a home is not costlier enough but it has to give us shelter too. Material used for walls, roofs and flooring must be of durable and superior quality. Here, our concern is to talk about about the roof of the home, we are going to build. The most suitable roofing in Houston is metal roofing. It is not sufficient to say only that we should go in for metal roofing but simultaneously a number of considerations are to be taken into account while going in for metal roofing. These considerations are as follows: The wider range of metal roofing available, Color and Design, Specifications, Quality, Measurement parameters, durability, Whether it meets with the standards, norms and specifications set for its manufacture and above all whether it comes in within one’s budgetary provisions. After considering all the above mentioned factors, one has to see the repute of the company whose manufactured goods one is going to have. A number of metal roofing contractors or service providers are available in Houston, but one should go in for the paramount among them. 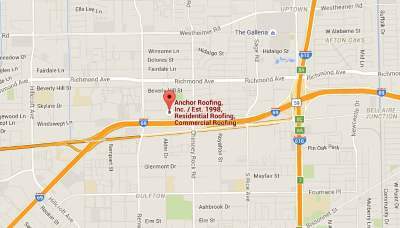 One of the most renowned and trustworthy roofing service providers is Anchor roofing. Why one should go in for Anchor Roofing services is clear from the fact that their dependability and trustworthiness gives one a safer way of procuring metal roofs at the most economical and affordable rate suiting one’s monetary constraints. We provide best workmanship, quality materials and roofing service across your city. Contact roofing contractors Houston for reinstallation with high quality roofing materials.